Risk managers typically either choose to work with a small, family-run agency where every client is known on a personal level, or for a large ‘alpha house’ broker. However, there are very few agencies where the benefits of both exist simultaneously. That is why I joined The Horton Group,” said Jason Helfert. With over a decade’s worth of experience in underwriting and management for ACE and Aon, Jason’s underwriting knowledge is what sets him apart from many of his industry peers. “After being an underwriter, I understand the best way to convey a client’s risk profile to underwriters, which leads to a more cost-effective and comprehensive risk management program,” explained Jason. 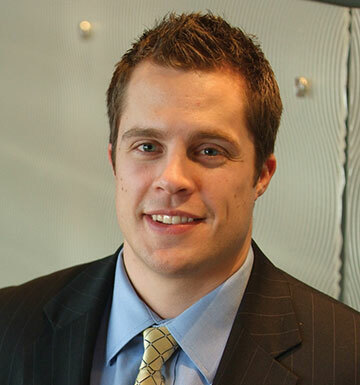 Jason’s expertise is with clients who have complicated Workers’ Compensation exposures or with a large workforce. “There are many challenges in implementing a successful risk management program. It is especially challenging as our clients often have a diverse employee population and are spread amongst many locations,” Jason said. In his role as President of the Risk Advisory Solutions Division in Orland, one of Helfert’s many tasks is talent recruitment and development. Jason’s objective is to be an outsourced risk manager for his clients. “My goal is to handle the risk management responsibilities for customers without a designated risk manager and to enhance the risk management programs for customers who have full-time risk managers,” Jason commented. His experience comes from spending two of his underwriting years working extensively with risk managers on loss control, learning how to implement effective safety programs. Jason resides in Orland Park, Illinois, with his wife, Laura and their children, Tessa, Reese, Lilah, and Cade. While he is away from the office, Jason enjoys time with his family and friends. He spent years as a competitive baseball and hockey player through college. While he prefers playing sports to watching them, Jason is a devoted Chicago White Sox and Chicago Blackhawks fan. While acting as the lead underwriter on our account, Jason was always energetic, informed and responsive to our needs. Jason’s professionalism, and his sense of humor, helped to make a good business relationship great. It has been my pleasure to work with Jason Helfert!